Have an outlet that's not working, a light out, or breakers tripping? These problems may seem small, but could lead to bigger problems when not repaired by a qualified licensed electrician. We are available for any repair or emergency 24 hours a day, 7 days a week! 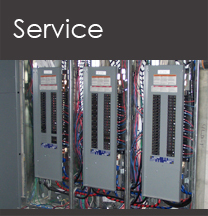 C & F Electric is heavily experienced working in Malls, Retail Stores, Hospitals, and residential dwellings. Our vans are fully equipped for almost any repair, and we own various size lifts, as well as a bucket truck for high-to-reach repairs. Our work is completed with great pride and always per the National Electric Code standards and city ordinances. Our biggest compliment is a repeat customer! For service call 954-791-1114 or click here. © 2019 C & F Electric, Inc.